The latest iOS 7 has almost changed everything in our iPhone and iPad devices including the traditional Music player application. Apple has totally revamped the music player application with new interface and features, but still many users are not happy with the performance and environment. There comes the need of third-party solutions for our iPhone and iPad devices. As iOS 7.1 Jailbreak is under development, and there is no way to load any jailbreak application on our device, we sneak peaked in App Store for something different and awesome to replace stock Music application. During my hunt in App Store for something, I came across to an interesting music player application that heavily depends on gestures and smart moves on your touch screen iPhone. 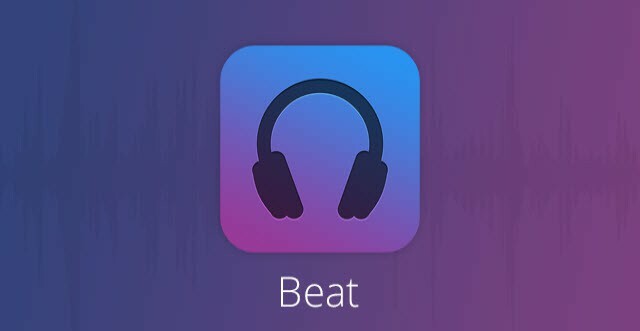 Beat – Music Player is an application available in App Store to provide something new on your iPhone with its handful of gestures, and cool interface with plenty of different themes. Beat Music Player application syncs with your iTunes Library folders to access all the music stored on your iPhone device, and let your customize the way you treat music on your iOS device. It allows you control everything with simple hand gesture, and even let you share with just pinching out your iPhone screen. Music fans like me found it really interesting, as it has several things that are hard to find in stock Music application in iOS 7. 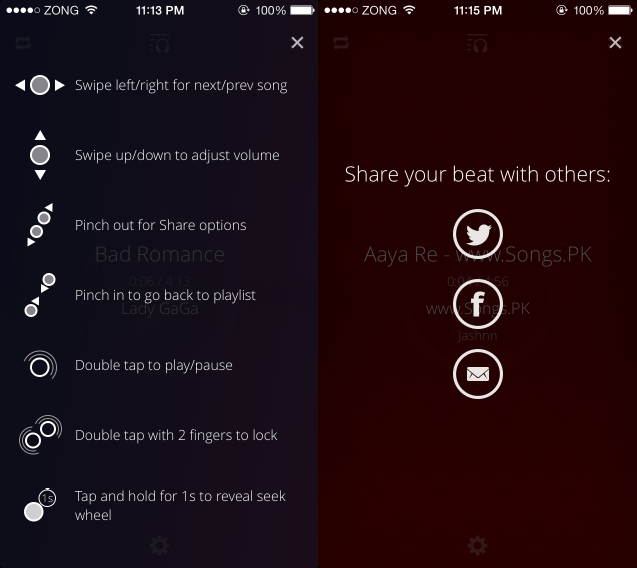 Beat Music Player offers almost 16 unlocked themes for your iPhone to repaint your music experience with the application. The default application view point starts with Playlists, and then towards the albums, however, you can change everything in your device. There is no limitation on how you want to sort your music in the application. With Beat Music Player application you can assign custom functions on shake to shuffle music feature on your iPhone. You can choose an option from the provided list of functions to perform when you shake your iPhone. Things don’t end at Shake feature, it allows you share your now playing song on Twitter / Facebook and as well as lock the music player application for avoiding anything while your iPhone is in your pocket. The most interesting part of Beat Music Player application is it’s available for free of cost in the App Store, and it is totally compatible with iOS 7+ running devices. My personal input on the usage of this application is, I have already ditched the stock Music player application and put Beat Music Player on the first tab of my application on iPhone 5s.